What's better than a tricked out vintage Airstream trailer? A tricked out vintage Airstream trailer filled with lovely lingerie! 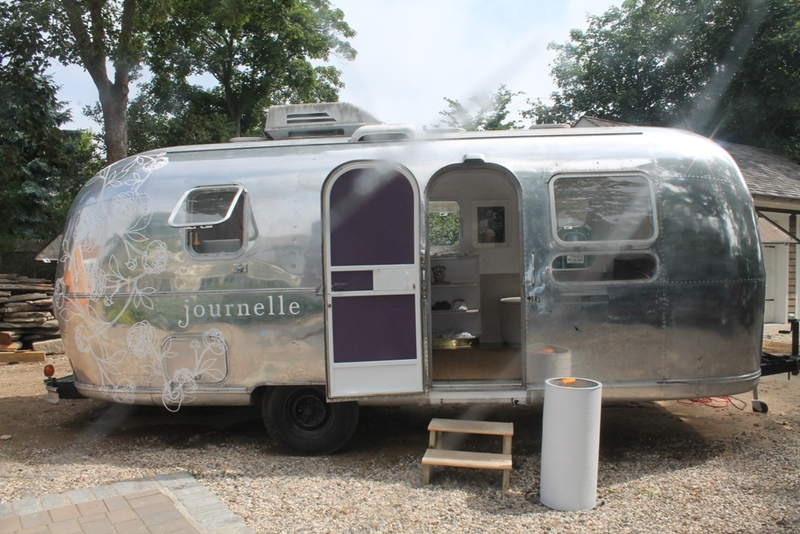 NYC-based retailer Journelle has taken to the road this summer, and after a pit stop in the Hamptons, their 1970s retrofitted Land Yacht pulls into Boston today. Towing 21-feet worth of underthings both casual and coquettish, the Journelle team will be making its way to the Back Bay and surrounding neighborhoods on Friday and to Cambridge on Saturday to fit customers. Keep an eye on Twitter for the traveling shop's exact location. How adorable! I might have to track them down on Saturday. oh wow that's a beautiful little trailer filled with magic. They didn't end up coming to Back Bay, which is where my office is. I was so bummed! My friend went and said they had some great stuff, though.